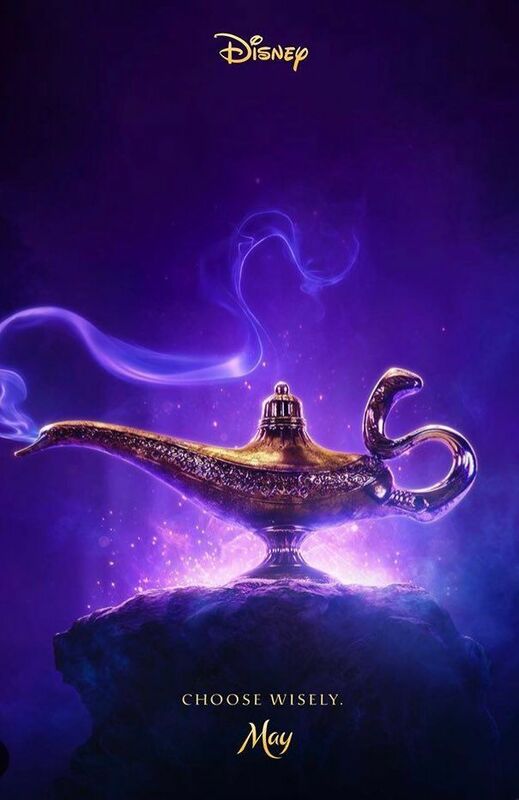 Today, Will Smith shared the first Aladdin poster for Disney’s live-action remake, where Smith will take over the iconic role of Genie (originally voiced, of course, by Robin Williams). As Smith wrote for the poster’s caption: “LEMME OUT!! Can’t wait for y’all to see me BLUE!” 10,000 years is a long time. Aladdin opens May 24, 2019 and stars Mena Massoud as Aladdin, Naomi Scott as Jasmine, the aforementioned Smith as the Genie, Marwan Kenzari as Jafar, Navid Negahbanas the Sultan, Nasim Pedrad as Jasmine’s handmaiden, Billy Magnussen as a potential suitor for the Princess, and Numan Acar as Jafar’s right-hand man.